China's preparation this year for the 2022 Winter Olympics will focus on venue readiness and training of Games-related staff, according to local governments. Despite the deep winter chill and tough outdoor conditions, construction sites in northern Beijing's Olympic park and its mountainous Yanqing district are bustling with workers and machinery in the process of building the National Speed Skating Oval, the National Alpine Skiing Center and National Sliding Center, three new venues of the 26 needed for the Olympics over three zones－in Beijing's downtown, Yanqing and the capital's co-host Zhangjiakou, Hebei province. With three years to go before the Olympics opens in February 2022, construction will be accelerated. Major structures of all four new competition venues in Beijing, including the Big Air slope in Shougang Industrial Park, will be completed by the end of this year, according to the city's construction regulatory body. "We are well ahead of schedule in preparing all the venues for the Games with all the new venues in downtown Beijing and Yanqing to take shape this year," he said on Monday during the annual session of the Beijing Municipal People's Congress. The office also said that the transformation of eight existing venues from the 2008 Summer Olympics, to serve competition, ceremony and media functions in 2022, is in full swing and is expected to be complete in early 2021. The repurposing of the National Aquatics Center－known as the Water Cube for hosting swimming in 2008－into the Ice Cube for curling in 2022, and the National Indoor Stadium, built for gymnastics at the Summer Games, into the ice hockey arena, will be the main focus this year, according to the city's municipal development and reform commission. Major progress is also expected in Zhangjiakou this year as Hebei Governor Xu Qin revealed on Monday that all eight competition and noncompetition venues for six snow-based sports－snowboarding, freestyle skiing, cross-country skiing, ski jumping, Nordic combined and biathlon－in the city's mountainous Chongli district are scheduled to be finished this year. "Hebei will construct the venues and supporting infrastructure for the Games with high quality," Xu said in a government work report to an annual session of the provincial people's congress. 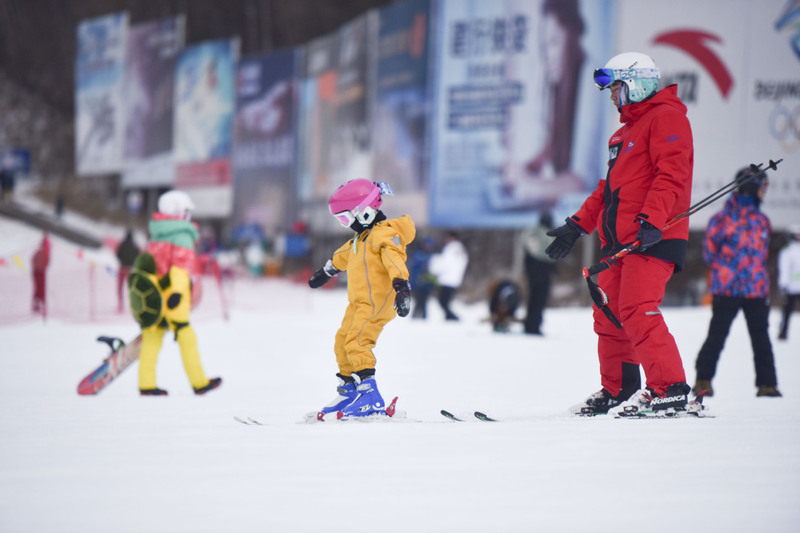 Meanwhile, some winter sports-related members of Beijing's political advisory body have urged more funding for the training of winter sports instructors, competition managers and venue operators to guarantee enough talent to sustainably develop winter sports in the post-Olympic era. "In addition to training our athletes for the competitions at the 2022 Olympics, we need to focus more on developing more staff in entry-level winter sports training and education, as well as operational specialists in skating rinks and ski resorts," said Cao Weidong, president of Beijing Sport University and a member of the Beijing committee of the Chinese People's Political Consultative Conference.